Illy Issimo Coffee Drinks only $0.50 per Can w/ Coupon! 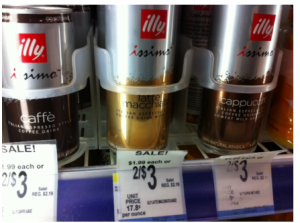 Head to Walgreens and score a great deal on Illy Issimo Coffee Drinks! Thanks, Hip2Save for the deal and photo!